This topic has 2 voices, contains 3 replies, and was last updated by TB Support 214 days ago. 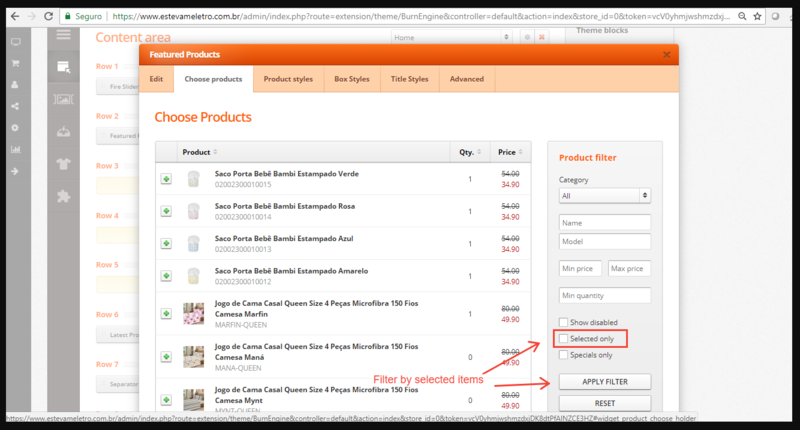 How to Manage Products at Featured Products? ThemeBurn Support › Forums › OpenCart Themes › Shoppica 2 OpenCart Theme › How to Manage Products at Featured Products? How can I find and exclude old choosen products at the Tab Featured Products? I use it at my Home, however, I can’t find how to manage old products. As you can see at the screenshot I can only insert new ones. Is Shoppica2 Theme compatible with OC 3.0.2? Shoppica 2 is not compatible with neither OC 2 or 3. However as far as we can see, you are not using Shoppica 2, but the 3rd version, which is compatible with all OC versions.